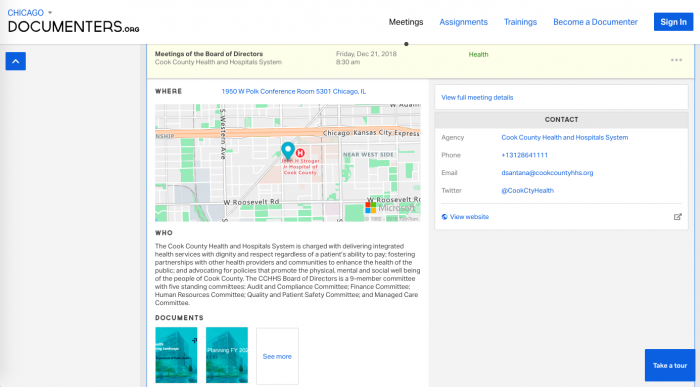 Jan. 8, 2019, 9:07 a.m.
By Christine Schmidt @newsbyschmidt Jan. 8, 2019, 9:07 a.m.
Public meetings — now there’s an app for that. We’ve seen relationships between news organizations and news consumers expand from tossing in a few bucks for a subscription to chipping in a few more for the journalistic mission to even volunteering their services in support of the news cause. City Bureau’s Documenters program has taken another tack, coaching and paying $15/hour to residents to attend and record notes from public meetings to build a stronger public record — and asking volunteer civic coders to help construct its scraping system. Now its tool for scraping, tracking, and documenting meetings is centralized and accessible for anyone else who wants to use it — but the journalists are still trying to figure out the best way to incorporate it into newsroom workflows. First @city_bureau #PublicNewsroom in Detroit with @wdet and @CitizenDetroit kicking off our Detroit Documenters pilot. In addition to the app, City Bureau is developing a weekly watchdog newsletter of news tips from the scraping and documenting compiled by a local reporter on a contract basis — and will potentially charge for it. The scrapers, though, are open source. Vassillis Jacobs, a senior policy associate at Citizen Detroit, worked on his organization’s Observers program, a Detroit predecessor to Documenters that started about a year ago. They helped about a dozen residents find and attend public meetings of interest to them— without pay, as volunteers. Citizen Detroit wasn’t on the first grant but was introduced to City Bureau by the Knight Foundation as a common funder and shepherded some of its Observers to the Documenters program. Detroit Documenters have an average age of 37 and many came on board because they were familiar with WDET, Fortman said. Eleanore Catolico is in her 20s and moved to Detroit, and her home state, in April after spending ten years in Chicago and getting involved with City Bureau in 2015. She has a day job outside of journalism and freelances on the side but went to a charter school board budget meeting in October as a Documenter. WDET, City Bureau, and Citizen Detroit recently were awarded a $76,000 grant from the Community Foundation of Southeast Michigan to continue Documenters in 2019. But as the first traditional newsroom partner, WDET is still sussing out how to use the Documenters’ efforts as part of its 12-person news operation. 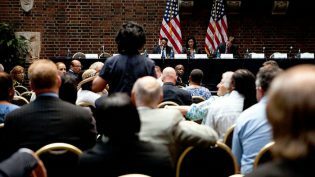 IMAGE OF AN INDIVIDUAL SPEAKING AT A DETROIT FIELD HEARING ON CREDIT REPORTING IN 2012, USED UNDER A CREATIVE COMMONS LICENSE. POSTED Jan. 8, 2019, 9:07 a.m.
Schmidt, Christine. 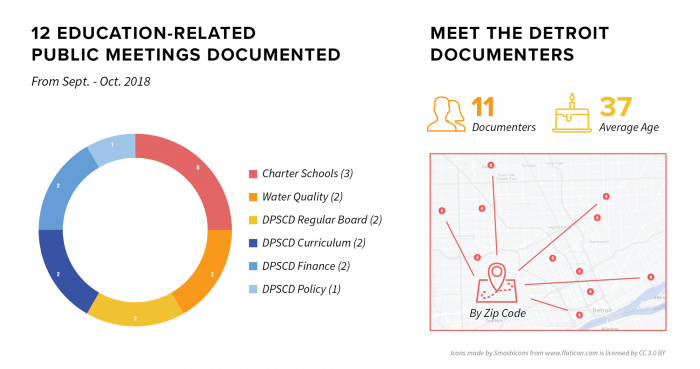 "Local public meetings are a scrape and a tap away, on City Bureau’s Documenters tool." Nieman Journalism Lab. Nieman Foundation for Journalism at Harvard, 8 Jan. 2019. Web. 20 Apr. 2019. Schmidt, Christine. 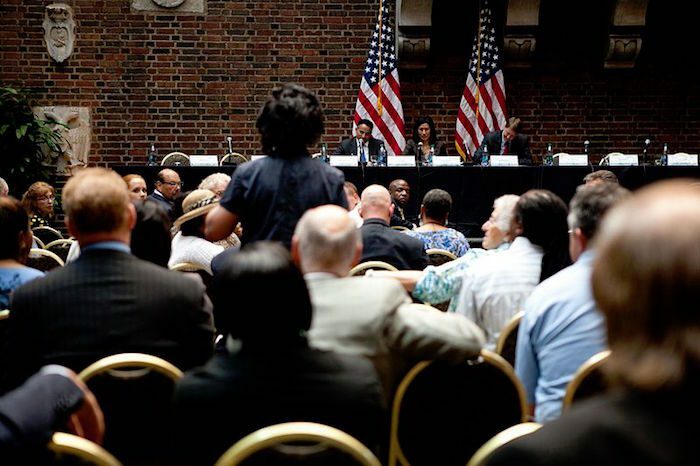 "Local public meetings are a scrape and a tap away, on City Bureau’s Documenters tool." Nieman Journalism Lab. Last modified January 8, 2019. 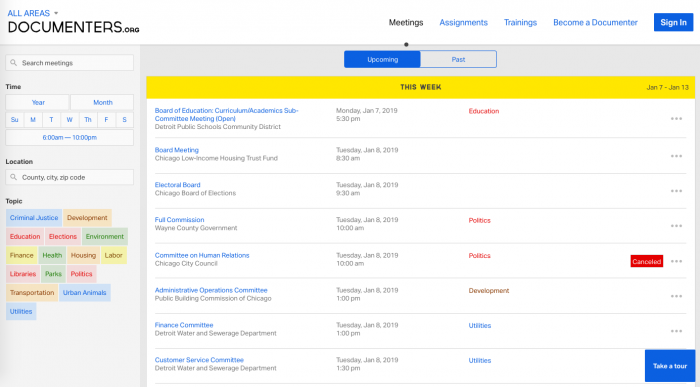 Accessed April 20, 2019. https://www.niemanlab.org/2019/01/local-public-meetings-are-a-scrape-and-a-tap-away-on-city-bureaus-documenters-app/.